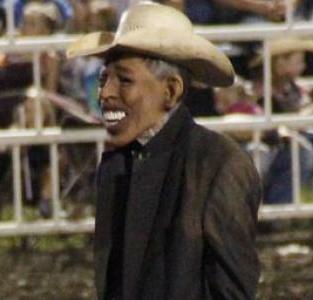 I'm referring to the incident that occurred at the Missouri State Fair this past Saturday in which a rodeo clown donned a Barack Obama mask and ran around the arena being chased by a bull. An entire handful of people were offended. Rodeo attendee Perry Beam complained that the atmosphere created by the stunt reminded him of a KKK rally. I'm not sure how many KKK rallies Mr. Beam has been to, but I have a feeling that might be a bit of an exaggeration. As usual, the whiny knee-jerk reactionists won the day. The clown responsible has been banned for life from the fair and the president of the Missouri Rodeo Cowboy Association has resigned. In the glory days of the old Soviet Union, people caught poking fun at a beloved politician would have been shipped off to reeducation camps. Thankfully, we are much more civilized. We send them away to sensitivity training seminars, and that is exactly what the Show Me State is now requiring of all rodeo clowns. Nothing demonstrates the nonsense of political correctness like a solution in search of a problem. Here's how I see it. If you attend a rodeo and find yourself offended by a clown -- and I'm going out on a limb assuming you understand the definition of the word "clown" -- running around in a mask that resembles a sitting government official, then that's a pretty good sign you need to find something else to occupy your Saturday nights. However, if you say that Barack Obama, or any reasonable likeness of him, simply has no place at a family-friendly event, then I would concede you have a point. In the meantime, quite your whining and try growing up. The world already has enough adult children as it is.